Plug-and-Play – ships with zero configuration necessary. 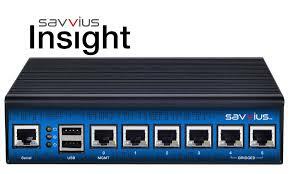 Collect key network performance indicators, including VoIP with Insight Plus, and display the results in your web browser. Remote monitoring made easy, from anywhere, including mobile devices. Gain visibility into issues arising from using unified communications (UC). Dedicated, web-based VoIP dashboards provide key performance indicators and long-term trending. An affordable solution that can be deployed across all of an enterprise’s remote locations. Network-wide operational intelligence – offers invaluable enterprise insights. Multi-segment analysis (MSA) – measure application and network latency between remote networks and the data centres. Point-of-sale (POS) terminal monitoring – visualise, detect, and diagnose issues.